I have many questions about the decision the Trudeau Government has made on the Kinder Morgan pipeline. Many questions that have not been answered. They are questions that will haunt us long into the future if this project is allowed to proceed. How could he say that? How can he not know that hundreds of scientists have looked at this project and said that it isn’t safe? Not for the water and certainly not for the climate. The assessment that we had done by experts showed more than a 70 per cent chance of a serious spill in the next 50 years. Officials in Washington State have expressed serious concerns about Canada’s inability to respond to a spill, even with the new commitments made by our Prime Minister. This is a drastic contradiction. We are seeing the same kind of duplicity that the former government of Canada was known for: a disturbing ability to manipulate reality into whatever form suited its needs. Seeing our new Prime Minister, the man who had given us all such hope, standing at that podium proudly proclaiming that this project was safe — it made me question the intent of every promise that he had made. I realized that they were attempting to perform a political magic show instead of solving the very real problems that could destroy our inlet, our province and in fact our entire world. To transport bitumen it must be heated and diluted with volatile solvents like naptha and cancer-causing chemicals such as benzene. No company or government is able to guarantee the safety of oil pipelines, terminals or tank farms and none have claimed to, until now. If we had a major spill in the ocean it would likely have a $1.2 billion impact on BC’s economy. It would sound the death knell for southern resident orcas and it could destroy both salmon and shellfish habitat, not to mention seriously endangering human health in the most densely populated part of the province. It could mean the end of our beaches, our sport and commercial fisheries and all of the recreational and ceremonial boating and water sports that make our coast the beautiful place that it is. And then there’s the storage facility for this pipeline. According to Burnaby’s fire chief, a fire at the tank farm could kill 10,000 people. It is built below a university and in close proximity to 4 elementary schools and a high school. Prime Minister Trudeau says that his government’s decision is based in science. Yet he is still relying on the highly flawed National Energy Board report that we have thoroughly analyzed in the form of written reports handed directly to the minister of natural resources the day before the pipeline was approved, weeks before the deadline to do so. I doubt they even read the report we invested so much time and money to produce. Perhaps the greatest danger of this pipeline is the mere fact that we will be locking in fossil fuel infrastructure and increasing our greenhouse gas emissions. Some argue that pipeline infrastructure is innocuous, and does not contribute to climate change. But the oil industry and the government of Alberta tell us it’s essential to the expansion of the oil sands. It seems that these contradictory arguments are being used simultaneously depending on what is most convenient at the moment. There are people that say that we should be thrilled with the government’s new policies around climate change and oceans and fisheries. That they have come so far from where they were that we should all be applauding this moment in history. But that is like saying that it is okay to do a mediocre job because such a bad job was done in the past. This is an argument based on politics, not economics or science. We are expected to celebrate policies that will not get us where we need to be. Another argument has been that we should celebrate that Trudeau has killed the Enbridge Northern Gateway pipeline and be happy with that. And we should indeed celebrate that the Enbridge pipeline is dead. But it did not die because the government dealt it the deathblow. It died in court where First Nations fought for their rights and the rights of their coast and their land. The government only took the credit. They then used it to divide and conquer and to justify the danger they intend to bring to our doorstep. Truly shameful. The demise of the Northern Gateway pipeline is something that we are happy to celebrate but we want to know why the Great Bear Rainforest is “no place for a pipeline,” as Trudeau has said, and yet our land, where we have lived since time immemorial, our sacred waters filled with endangered orcas and salmon and shellfish — why is this considered a sacrifice zone? Why is it not okay to take that risk on the North Coast but it is okay to take it on the South Coast? The First Nations people of the North Coast spoke when they took the Enbridge case to the courts and they won. They did more to protect this coast for all of us than the government of Canada or B.C..
Premier Clark has promised to stand up for the interests of B.C. residents and protect the coast. 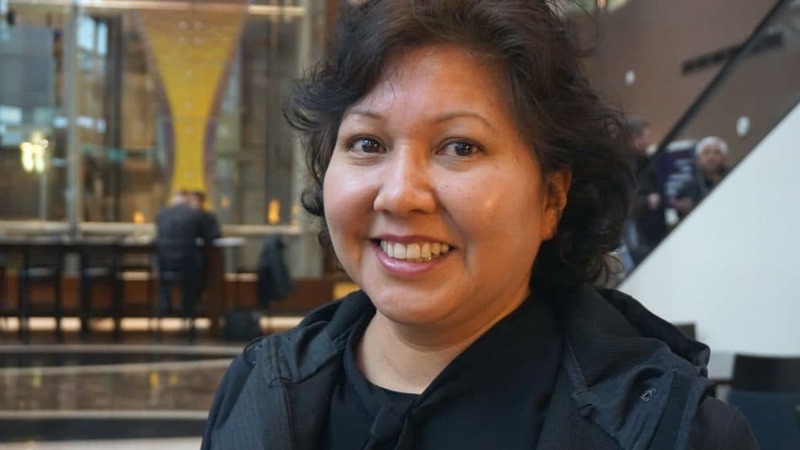 The assessment done by the Tsleil-Waututh Nation clearly illustrates that an oil spill is virtually unavoidable over time and the project is not in the economic interest of Canada or B.C..
Will Clark make the same mistake as Trudeau? If she does, she will pay a price in the upcoming provincial election and will contribute to setting back relations with First Nations people for generations. Instead we should be working together to create real opportunities for everyone on the west coast. Reconciliation is for all people but reconciliation is meaningless if you only listen to First Nations communities you agree with. When my children ask me what I did to save the orcas or to stop climate change, I will tell them that I did everything that I could. They will never look at me and say “You knew, how could you stand by and do nothing?” Because we do know, and I believe there comes a moment in history when ignorance is no longer forgivable and political trade-offs are a fundamental betrayal.